A lace bodice and illusion bateau neckline add romance and enchantment to this tulle ballgown wedding dress. A unique illusion lace back features cascading keyholes, while a Swarovski crystal-embellished belt adds a touch of sparkle. Finished with covered buttons over zipper closure. Some alterations made to the bust to 42 DDD/F. 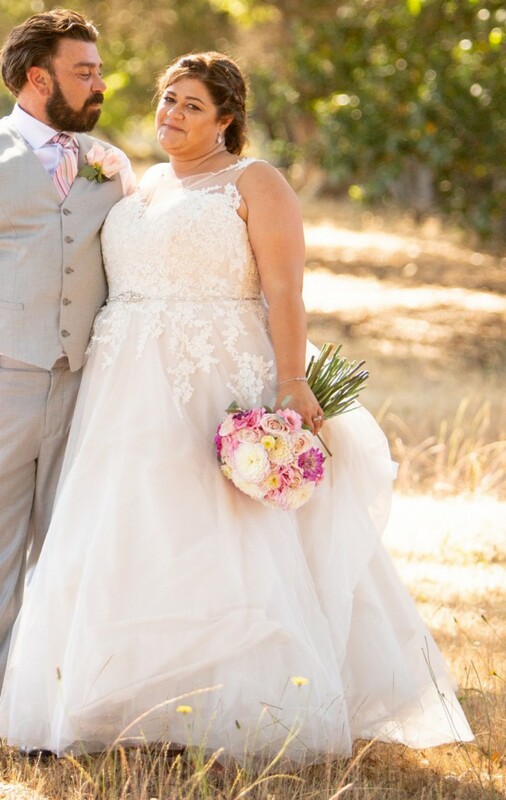 Worn by 5’4” bride with 1” flip flops. Alterations included ability to bustle “American” style.